There are many awesome pickup trucks out there, but which ones are the best? We are talking about the big haulers, the trucks for working men, the real beasts of the road! You want a truck that you can take to the work site and get twice the work done. You want a truck that will cut your moving time in half. You want a truck that will give you the most out of your weekend away from home. Here are the best of the best when it comes to the big cabs. Not only are we looking for a huge pay load here, but you want to travel in style. What style is the best for you, Twin cab, dual cab, king cab, king super cab? Here we are going to talk about the most heavy duty big cabs out there! There are a few brands that we are going to look at but there are for sure some brands that are above the rest. As we go into this lets keep Dodge,Ford, Toytoa,and Chevy in mind. Let’s start with the king of big cabs. The biggest out there is the Toyota Tundra Maxi cab. 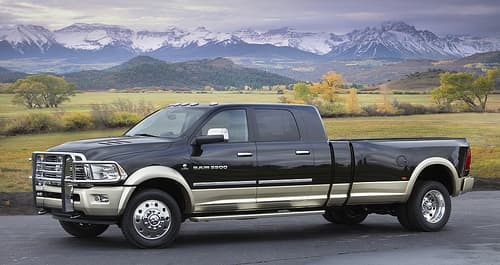 Tying in with that for first place is the Dodge Ram Mega cab. The Ford F-50 also has a very large quad cab, and the Chevy Silverado had a very big king cab as well. All of these trucks are massive heavy duty machines, as well as luxury 4 door automobiles. Make sure that you are up to the task of driving around one of these monsters though! You will have to develop a whole new style of driving if you are only used to normally driving sedans. These trucks are all very good in their own remarks, and it is hard to compare them all together, but each brand does have its advantages. Fords are known to have some massive towing capabilities while Toyotas are known for their off-roading abilities. 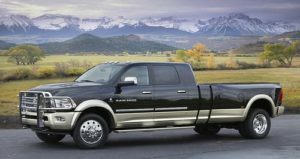 Dodge trucks are great on towing, and boast some of the best gas millage out there for heavy duty trucks. Looking at all of these different brands and massive cabs, you can decide what truck is going to work the best for you and your needs. A big cab is great for people who want to have a lot of friends or family ridxe with them on adventures or work days. ← Increase Your Pickup’s MPG!